Offering you a complete choice of products which include high performance plasma consumables, hyperformance plasma consumables, high performance quality plasma consumables and quality plasma consumables. 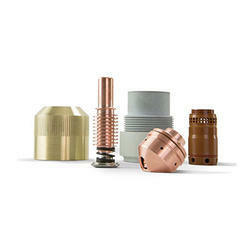 We have gained expertise in in delivering a commendable range of High Performance Plasma Consumables. The product range has been made using quality approved raw materials, sourced from reliable and certified vendors of the market. We have checked these consumables at various parameters to ensure that each and every piece are defect free. 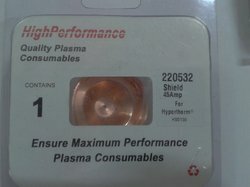 Owing to the technologically advanced manufacturing facilities, our company have been able to offer a range of High Performance Quality Plasma Consumables. 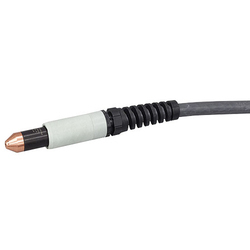 Known for its application in different plasma cutting system, this range has been manufactured strictly as per the predefined standards of the industry. Hypertherm powermax 45 consumables, Hypertherm powermax 65 consumables, Hypertherm powermax 85 consumables, Hypertherm powermax 1000 consumables, Hypertherm powermax 1250 consumables, Hypertherm powermax 1650 consumables, Hypertherm max 200 consumables, Hypertherm hpr 130 consumables, Hypertherm hpr 260 consumables, Hypertherm hsd 130, Hypertherm ht2000 etc. 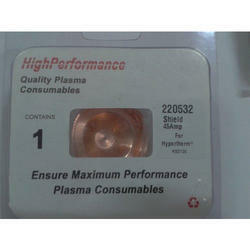 Looking for High Performance Plasma Consumables ?